Abstract: Airwheel mini electric scooter was born with the market demands on the new means of transport which is the fashionable, portable, and environmentally friendly new means of transport. At present, Airwheel products occupies large market share in the portable and smart transport field across the globe. Now go enjoy the scenic with Airwheel. Unlike other brands, Airwheel has wider business line from the self-balancing scooter, electric skateboard to the smart e bike and power chair and so on. In the future, its products will be further enriched. At the initial stage, Airwheel made breakthrough by rolling out Q series-twin-wheeled electric scooter. The parallel two-hub innovation is featured with more stability compared to the regular electric unicycles. Beginners don't have to be super in balancing to master it. Anyone can take it under control in minutes following proper instructions. In addition to the standing up electric scooter, Airwheel released innovative sitting posture self-balancing scooter, A3 being the founding model. Its V-shape saddle is designed under the ergonomic principle, offering more comfortable ride than the traditional standing electric scooter does. Later, S6 and S8 with dual ride modes capture the market quickly. One scooter gives riders double riding fun. Also, its adjustable seat allows riders not only to achieve the various riding modes, but also is suitable for riders of various heights. From 2015, the market for self-balancing scooter market is going downhill. Airwheel considers the situation and changes its attention to smart e bikes. Then the E series and R series were born. Airwheel R & D team has upgraded the one riding mode into another height which is showed in the R series with three ride modes. The R series has foul models now and makes many innovations. R6 electric assist bike introduces the automatic folding system, with one button to extend and contract it. R8 electric mountain bike is equipped with the largest wheels so far making it conquer any road conditions. 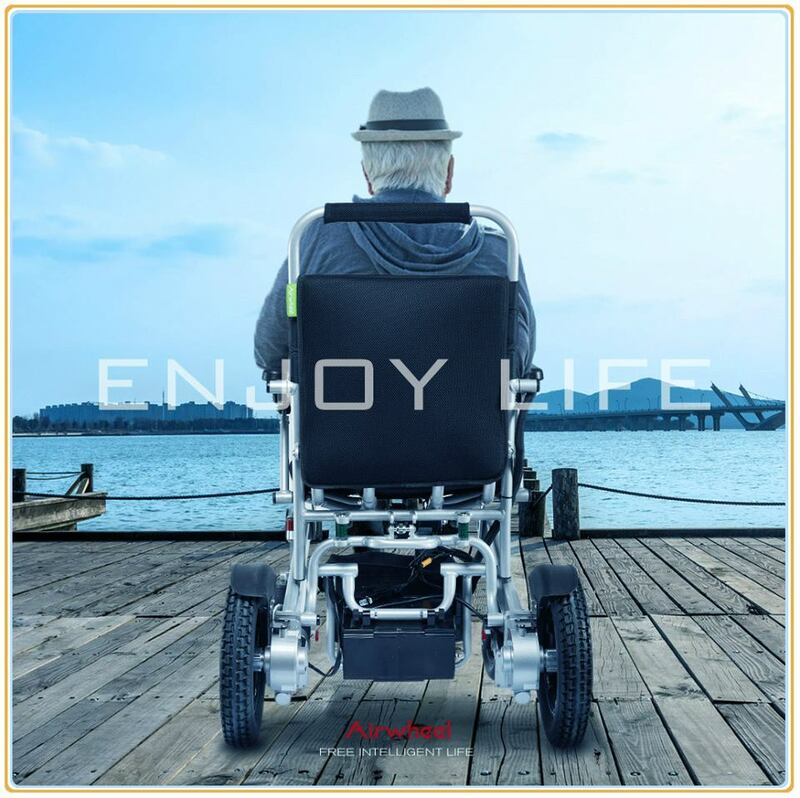 Also, Airwheel considers the travel issue of the senior citizens and launches A6S and H3 smart electric wheelchairs to facilitate their daily travel. No matter where you are, what you do, you can take time to bring Airwheel to enjoy the beautiful views.